Global oil major BP has announced it is suing its Russian partners in TNK-BP for $US 365 million in compensation for money paid out in back tax claims in Russia, which it says should not have been paid. TNK-BP has paid more than $US 2 billion in recent years in back tax claims, with some of these believed to relate to the period before 2003 when the joint venture between the global energy giant and its Russian partners was created. A Moscow based BP spokesman said the claim relates to the initial shareholder agreement which said all back tax claims prior to 2003 must be paid by the Russian partners. The owners of TNK-BP, BP and the AAR consortium – consisting of Alfa-Bank, Access Industries and the Renova group – have been in an ongoing battle over corporate strategy and management for some months. The London claim is the first that BP has filed against its Russian partners. AAR says the action is “unjustified and grossly inflated” and has pledged to fight it. TNK-BP’s board of directors is meeting on Monday in an extraordinary general meeting called by the company's Russian shareholders. The summons was issued by board member Viktor Vekselberg, who heads the Renova Group. He is accused of several violations of Russian labour, migration and tax laws. 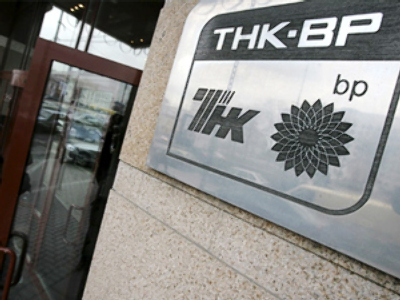 The conflict among TNK-BP's major shareholders broke out in the spring of this year, when the consortium of Russian shareholders demanded Dudley's resignation.